Ranunculus, crocus, bergenia and a tulip. Such bright colours. It’s all still grey and brown around here. your garden is coming up sunshine! 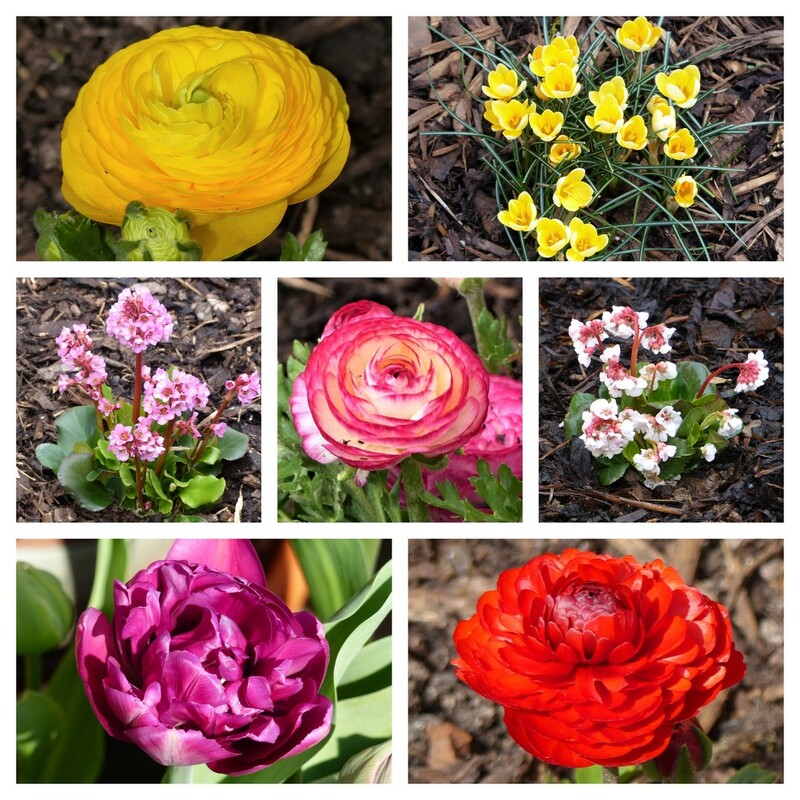 How colourful your garden must be now that Spring is here.